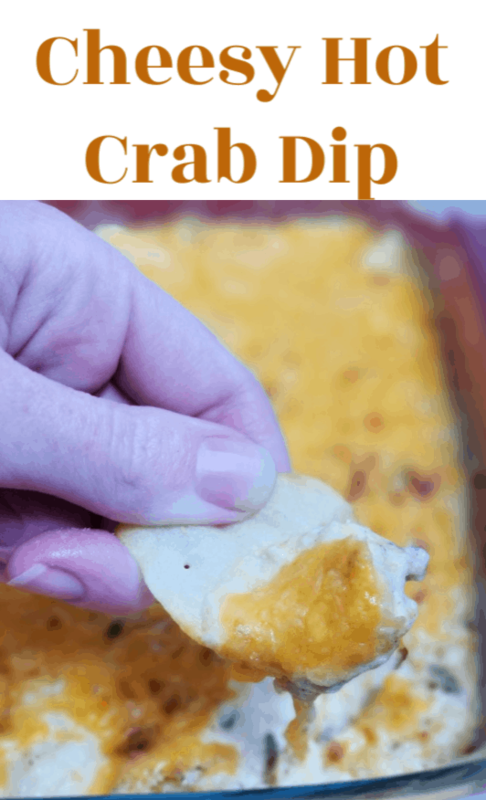 Cheesy Hot Crab Dip Recipe: Easy Game Day Dip! 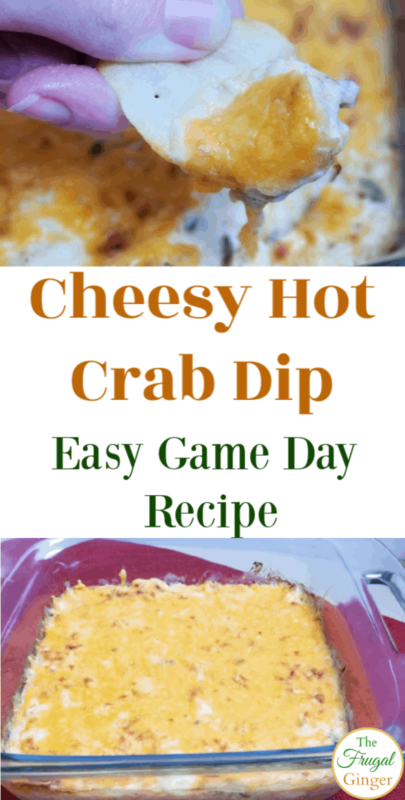 You are here: Home / Lifestyle / Recipes / Cheesy Hot Crab Dip Recipe: Easy Game Day Dip! This post was sponsored by RITZ as part of an Influencer Activation for Influence Central and all opinions expressed in my post are my own. I am looking forward to the big game in a few weeks so I needed to make an easy recipe that everyone will love. 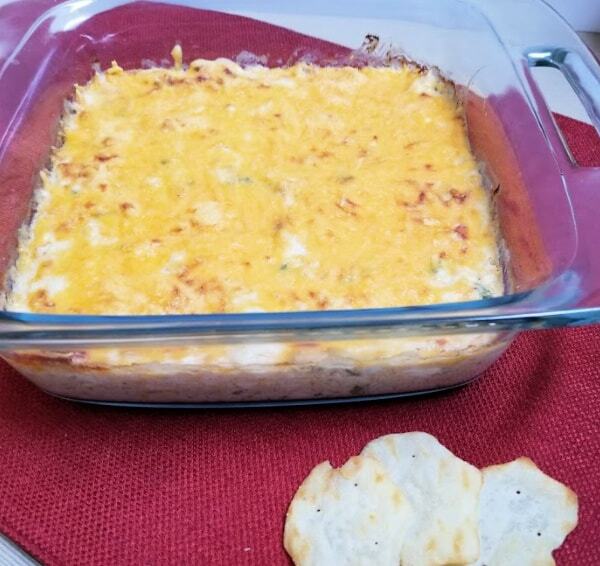 This Cheesy Hot Crab Dip Recipe is perfect for keeping everyone happy and full while we watch our favorite teams play. I personally love a hot dip, it always seems more filling to me. This recipe is super simple to throw together and bake in the oven before your guests arrive. I was able to save money on all of the ingredients by shopping at my local Walmart. I even used my favorite money saving app, Ibotta, to save on my game day spread. 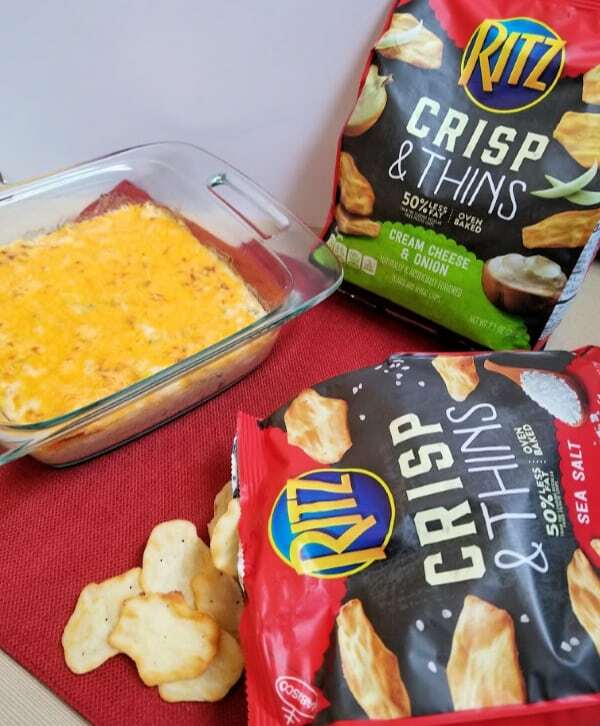 I bought some of the new RITZ Crisp & Thins to eat with my favorite hot crab dip recipe. They were the perfect snack to pair with it because they are deliciously thin and perfectly oven-baked. I bought the Cream Cheese & Onion as well as the Sea Salt flavors to go with the hot crab dip. I personally love the Sea Salt! In a medium bowl mix together 1/4 bunch of green onions, cream cheese, sour cream, mayo, 1 cup cheddar cheese, garlic powder, paprika, Worcestershire sauce, lemon juice, salt, and pepper until blended. Gently fold in the crab meat until combined. Place mixture in a small casserole dish, I used an 8×8 size, and spread evenly. Sprinkle 1/2 cup of cheddar cheese on top. Bake at 350°F for 20-25 minutes or until cheese is bubbly. Top with remaining green onions if desired. It really is that simple! My family loves this hot crab dip recipe and I loved having a new snack to pair it with, the RITZ Crisp & Thins! 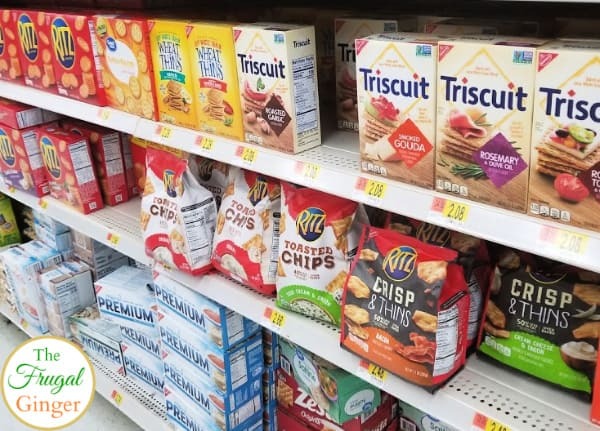 Walmart is having a sweepstakes where you can enter to win 1 of 6 $50 Walmart gift cards or 1 $200 Walmart gift card to help you stock up for your game day essentials. Enter through Feb. 3, 2019. I-C will randomly select winners from all program entries and will facilitate fulfillment of the 7 winning prizes. 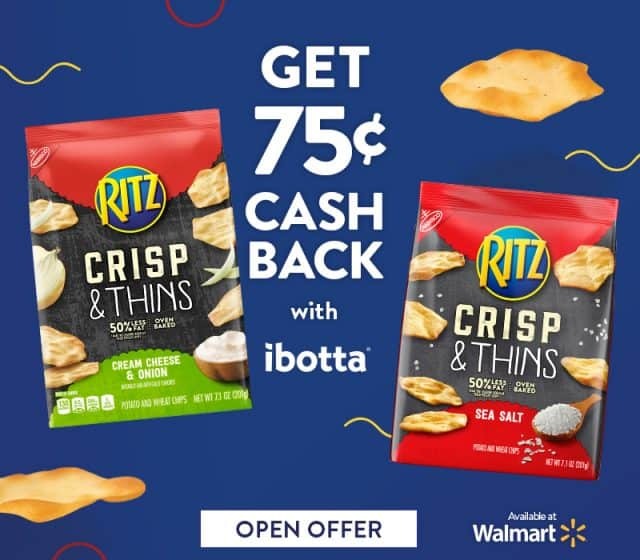 Don’t forget to use the Ibotta offer when you shop at Walmart to save on your favorite flavor of RITZ Crisp & Thins!